I know it’s true autumn when I start to bellow my seasonal mantra: “Put your socks on!”. Call me old fashioned but I’m fanatical about warm feet and a warm lower back. Those old wives knew what they were talking about and I adhere to the same rules. Indeed, the old wives believed that cold toes are a sure way to catch a chill and keeping your kidneys warm keeps your immune system in check. So now that the mornings and nights are chilly, I’ve rifled through the kids’ wardrobes to organise their winter clothes. I’m all for quality over quantity, layers upon layers and practical foot and headwear to ensure we get the most out of the season. 1. Singlets. I consider them like a hug – warm, comforting and nurturing. For babies I prefer onesie singlets so they don’t ride up and expose the lower back – my favourite organic ones are here but these are good, too. My preschooler is wearing these for the second year in a row (and they’ll see her right through the season) and for my big boy I can’t go past these. 2. Socks. Essential in my book and the aforementioned quality over quantity rule doesn’t exactly apply here. Because socks go missing quite easily, especially when your baby likes to throw them from the pram when you’re not looking. Multi-packs are my favourite for this reason alone: find them here, here and a fabulous selection here. 3. Stockings. The perfect accessory to make the most of skirts and shorts. Surprisingly, it’s hard to find good quality stockings! I opt for three pairs: one in pink (because I have a four-year-old girl), one grey (goes with everything) and one blue (to balance out all the pink). For cable knit you can’t go past these and for a range of gorgeous colours in a ribbed stitch, search no further than here. 4. Long-sleeve tees. 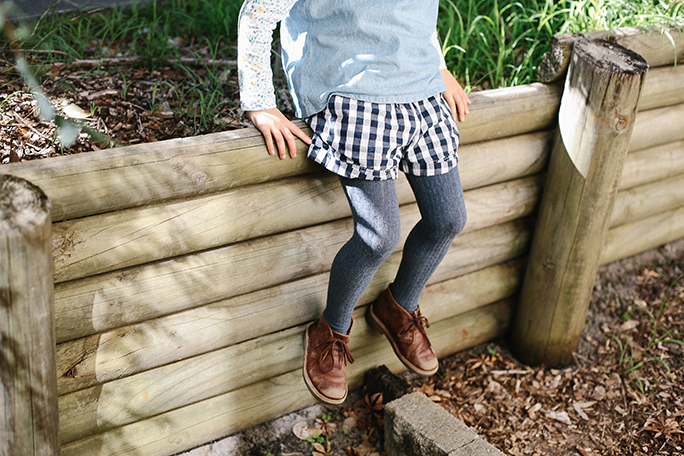 Before you pack your daughter’s summer dresses away, why not layer them with a long-sleeve tee underneath? 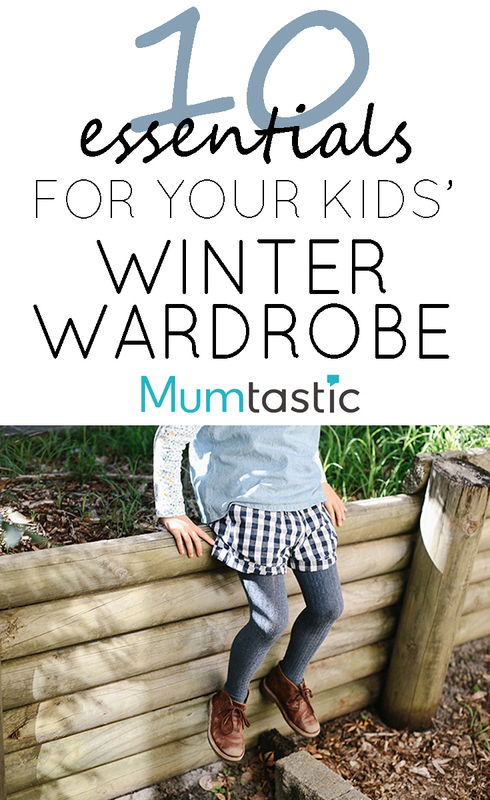 I promise you, it’s the most practical way for your little one to wear her pretty dresses (or dress-ups) and still stay warm. They’re worn daily by my boys, too. Where can you find them? Just about anywhere! But if you’re after a natural cotton, I love these. 5. Woollen Vest. Babies and kids are busy creatures, always moving and running hot. They’re often elbow deep in dirt or sand or paint or glue so long-sleeve knits aren’t always practical (and let’s face it, we don’t want to hand-wash every day, do we?!). Knitted vests are my go-to for the cooler months as it keeps their core warm as toast and leaves their arms free to play. 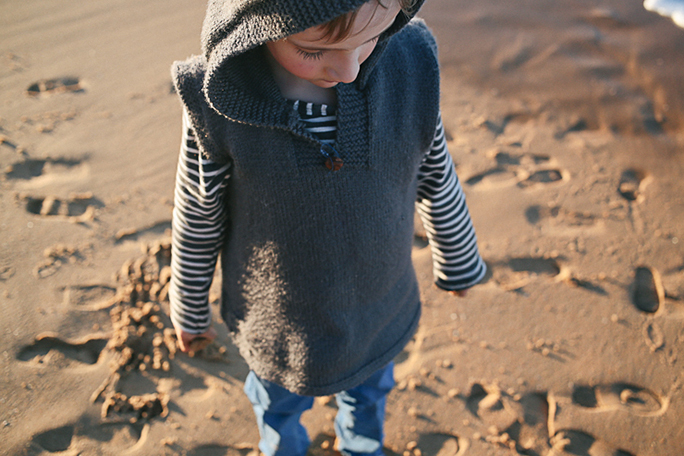 Find them here for babies, here for kids and a great handmade-in-Melbourne option here. Hint: you can often find some great, if slightly kitsch, options in your local op-shop or convert a favourite woolen knit from long-sleeves to no sleeves! 6. Beanies + Bonnets. The cute factor is undeniable but these also make trips to the beach and the park possible when the air is really cool (and when sensitive ears are prone to seasonal ear aches). I love the range from Acorn Kids and the knitted gems from Typically Red. 7. 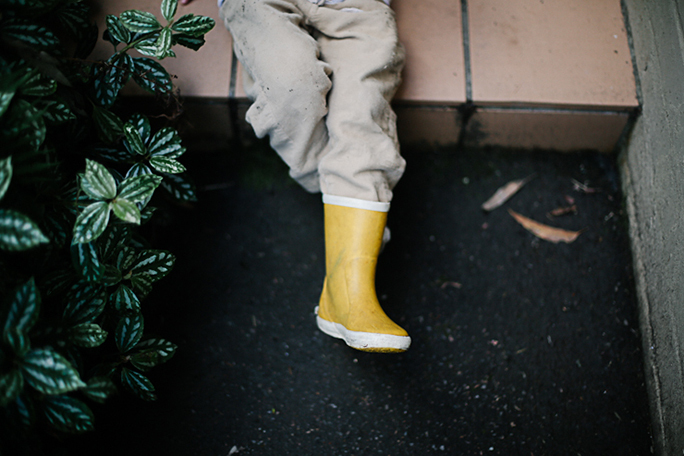 Raincoats + Gumboots. The Danish believe that there’s no such thing as bad weather, only bad clothing, hence they are adept at dressing for the seasons. I’m not sure Aussies can say the same? 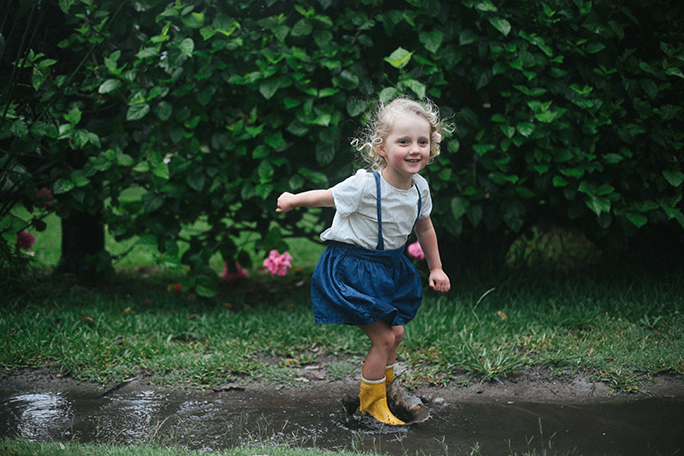 Enter a raincoat and gumboots – absolutely essential kidswear. Tassie company Rainkoat have recently launched a vivid collection of raincoats and uber-practical overalls (hello puddles!!!). For gumboots I really love French Soda and Bergstein. 8. Dressing Gowns. Because is there anything better than having a bath and then cuddling up in your dressing gown? Four in the Bed have a gorgeous range for girls and boys. 9. Merino. this soft wool allows the body to breathe while keeping it warm, hence it’s one of the safest options for babies and young kids. Nature Baby has a great range of merino layers and Melbourne-based Paul and Paula makes delightfully bright tops and leggings. 10. Sleeping bags. The safest way to keep your baby warm in winter. 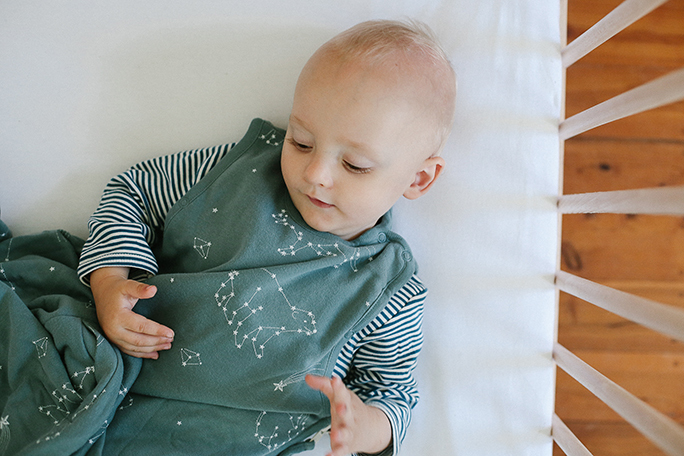 Snugbags, Merino Kids and Nature Baby offer a great range of sleeping bags in varying weights. The best thing about these designs are that they’re made to last for 18 months so while the initial cost may be a lot, find comfort in the fact that you’ll get at least two winters out of them.